Through a partnership with Grow Boating and the Marine Retailers of the Americas, the 2017 Marine Dealer Conference and Expo opening keynote presenter Tim Sanders will host a webinar on Tuesday. 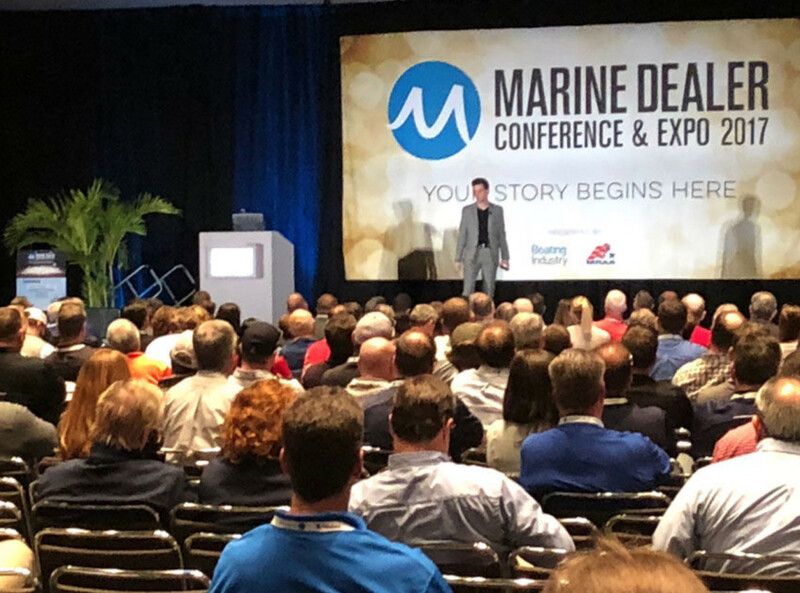 At the 2017 MDCE, Sanders, a New York Times bestselling author, presented to marine dealerships on using digital technology to find and keep new customers, and provided attendees with tips on securing talent in their businesses. Tim Sanders, who gave the opening keynote at MDCE in December, will offer a free webinar on Tuesday. During the upcoming webinar titled: “How Digital Can Supercharge Your Dealership,” Sanders will provide updates on the key takeaways he discussed during his MDCE keynote address and will answer questions about today’s digital technology. “Tim Sanders’ insights regarding the impact of digital marketing, and his MDCE keynote follow-up, will be invaluable to dealers in our industry,” said Boating Industry editor Tim Hennagir. The webinar is free and open to everyone in the marine industry. Click here to register.